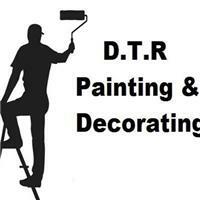 D T R Painting & Decorating - Painter/Decorator based in Harthill, South Yorkshire. At D T R Painting & Decorating will transform your home or business to the highest standard at a very competitive price. D T R Painting & Decorating has been established in 2015, by company owner Dean Reeves, a friendly professional who takes pride in his work. We offer a wide variety of painting & decorating services and always aim for a 100% customer satisfaction. We pride ourselves on attention to detail on every job we do. Our aim is to meet and exceed all of our customers’ expectations, giving total satisfaction at a very high standard at a competitive price guaranteed. We accommodate services for both domestic and commercial customers. We also undertake insurance work. Please call us for any queries and advice on 07715 561141.